*We can customize your package. Call or email us so we can give you a quote. * Ask about what specials we have going. 1.) Add on an extra $300.00 to capture the rehearsal. 2.) Ask about photo booth options and availability. by Esther Lundmark for any package. 4.) Ask about the 13×11 photo books for up to 40 pages. And also add on smaller 7×7 photo books for up to 40 pages. cards with envelopes. Prices vary per quantity. 6.) Ask about photo canvas wrap options. 7.) Ask about a music disk with 50 select photos of your day. 8.) Ask about our packages with a second photographer. Total Payment is due one month before the wedding date. *Tax included already for each package. 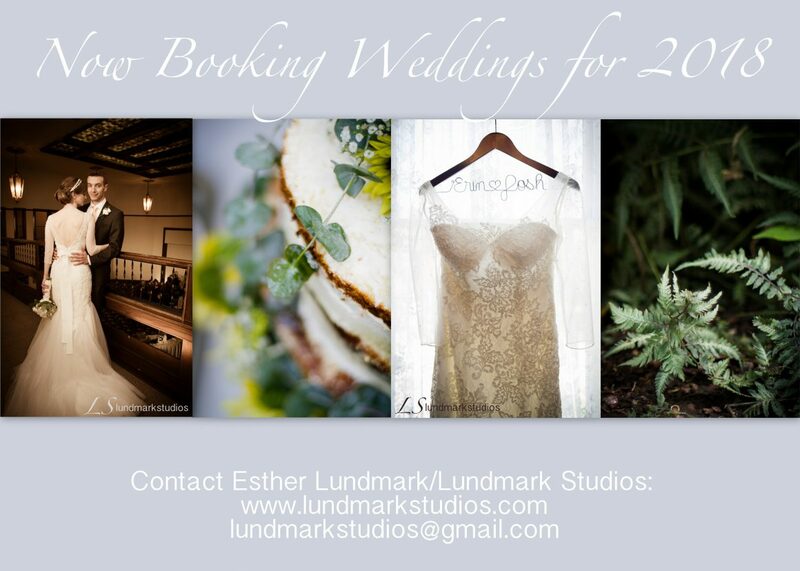 Contact Esther Lundmark today! We’d love to hear from you!